Plastic pollution is a severe crisis plaguing much of the globe. 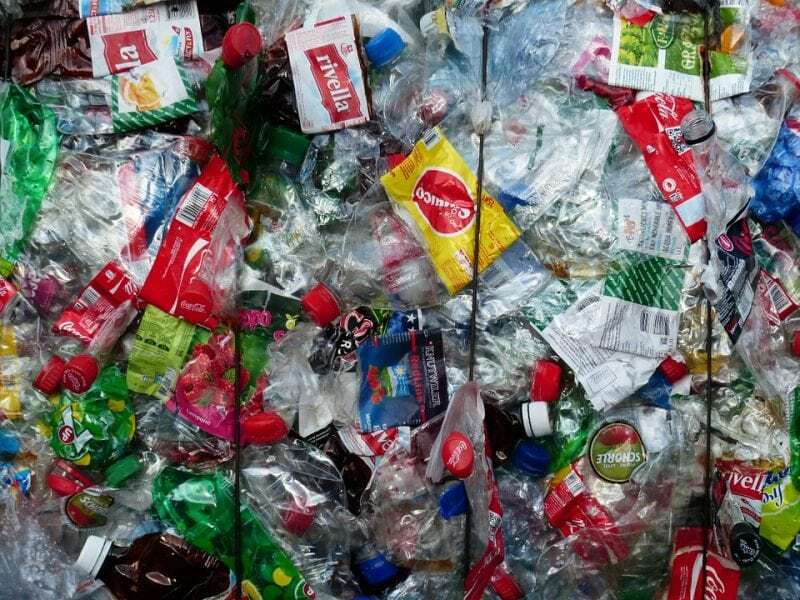 A new enzyme created by a team of researchers may offer a solution to this problem, enabling the full recycling of plastic bottle, something that currently isn’t possible. The plastic eating enzyme was inadvertently created through a joint research project involving teams of researchers from the US Department of Energy’s National Renewable Energy Laboratory and the University of Portsmouth. The enzyme is capable of degrading the substance polyethylene terephthalate (PET), a polymer used in the creation of plastics containers. PET will currently remain in the environment for hundreds of years before it begins to degrade. The research project was inspired by the discovery of a bacteria that had evolved to digest plastic. The bacteria was found in a waste dump in Japan during 2016, and it used a special enzyme to let it eat plastic. The research team recently revealed the structure of the enzyme, and they also managed to tweak the structure of the molecule, making it even better at degrading PET. The research team hadn’t set out to do this, but their experiments led to the improvement nonetheless. The researchers started out by examining the structure of the enzyme that the bacteria produced. The individual atoms of the enzyme were examined with the help of a powerful beam of x-rays. A device called the Diamond Light Source was used to see the atoms, and the beams of x-rays used were 10 billion times brighter than the sun. According to the researchers, the enzyme’s structure was similar in form to an enzyme used by bacteria to breakdown a natural polymer known as cutin, which many plants use a protective substance. The team started to manipulate the enzyme and explore how the bacteria used it when they accidentally enhanced the enzyme’s ability to degrade PET. The team also says it’s remarkable that a bacteria has evolved to degrade PET, which has only existed in large quantities over the past 5 decades, not very long at all on the timescale of evolution. The enzyme will begin breaking down the PET in plastic bottles after only a few days, and yet the researchers involved in the project believe that they could speed up the process by making further improvements to the enzyme. The research teams believe that it could even be used in industrial scale processes, enabling plastics to be fully recycled. John McGeehan, from the University of Portsmouth, says that use of the enzyme could help reduce plastic pollution and substantially reduce the need for oil. What we are hoping to do is use this enzyme to turn this plastic back into its original components, so we can literally recycle it back to plastic. It means we won’t need to dig up any more oil and, fundamentally, it should reduce the amount of plastic in the environment. There’s a real need for an ability to recycle plastics, as plastic pollution constitutes a severe threat to the health of marine ecosystems. Just recently a dead whale washed up on shore with 64 pounds (30 kilograms) of plastic in its stomach. 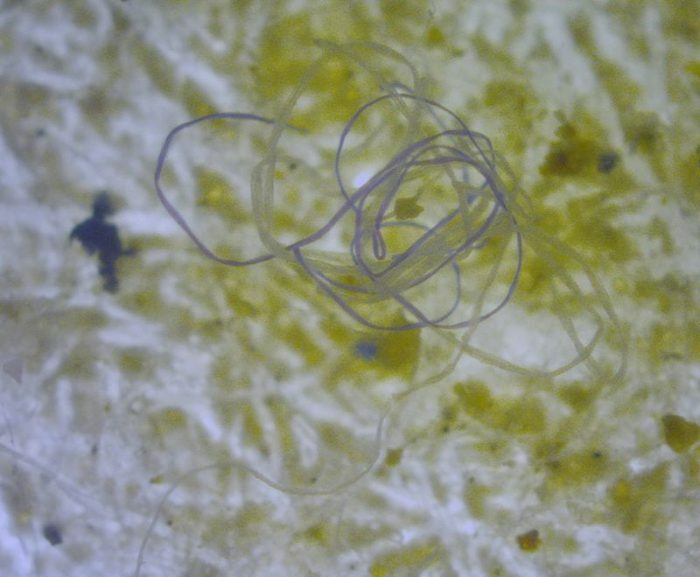 Plastic fibers have even been found in animals in the most remote parts of the ocean. Plastic pollution can also harm humans, by getting into the bodies of those who eat seafood, or by being in the water that we drink. The problem of plastic pollution is only growing in severity, with an additional 1 million plastic bottles being sold every minute. Most of the plastic trash produced by society ends up in a landfill or in the ocean. Most bottles aren’t recycled, only about 14% are actually sent to a recycling center. Even the bottles that are recycled can only be recycled in certain ways, turned into fibers for use in carpets or clothes. Utilization of the new enzyme could allow the used plastic to be turned back into plastic bottles. Though previous research has found that some kinds of fungi are capable of degrading PET, bacteria is much easier to use in industrial processes than fungi is. The researchers are exploring a possible improvement to the enzyme that involves injecting the mutant enzyme into a collection of extremophile bacteria, which are capable of surviving temperatures around 70 degrees Celsius (158 degrees Fahrenheit). Around 70C PET begins to transition from a glassy state to a more fluid state, and in this fluid state, it can be broken down between 10 to 100 times faster than in its glassy state. It wouldn’t be as cheap to recycle the plastic as it would be to create new plastic, but McGeehan hopes that growing public awareness of the plastic pollution issue will put pressure on companies to recycle rather than constantly create new bottles and containers. Beyond using the PET-eating bacteria to recycle bottles in recycling centers, it’s also possible that the bacteria could be used to clean up garbage patches in the ocean. The bacteria would simply have to be sprayed over a garbage patch. According to McGeehan, it’s possible that other kinds of bacteria are currently evolving in the environment, bacteria able to degrade other kinds of plastic. Scientists are currently searching for those bacteria. 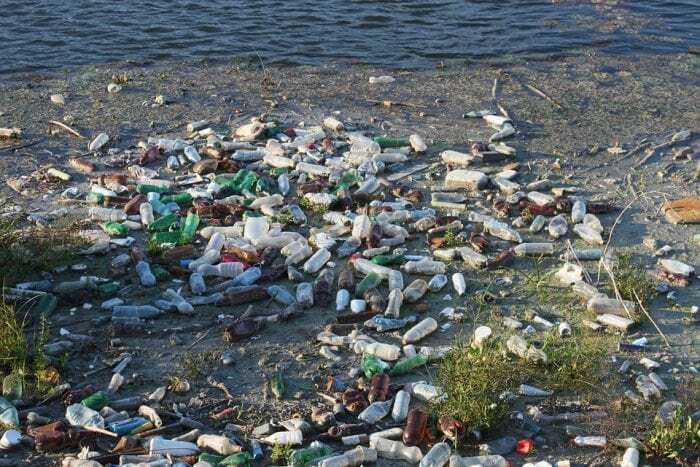 Scientists apart from those involved in the research are excited about the possibility of using enzymes to deal with plastic pollution. A chemist from RMIT University in Melbourne, Oliver Jones, says that the attraction of using enzymes is that they’re both non-toxic and biodegradable. They can also be synthesized in substantial amounts by microorganisms. When combined with efforts to reduce the amount of plastic used, the enzymes could really make a dent in the level of plastic pollution around the world. More research will ultimately have to be conducted on the enzyme, and scientists will need to ensure that they aren’t merely solving one environmental problem yet creating another (say by generating more greenhouse gases). Yet for the time being, the new PET degrading enzyme offers hope that a powerful tool for reducing plastic waste may be within reach. Previous Post« Previous Southwest Airlines Flight 1380: How Common Are Aircraft Decompressions?